In our childhood days, our friends would often talk of a mystical place known as Jailani, an abode of the saints and a haunt of the jinn. We were told that the place was covered in thick jungle and that a special prayer had to be recited to guard oneself from the attacks of wild beasts. Those who did not do so, we were told, were doomed to meet an untimely death. In our mind’s eye, we would picture Jailani as an awesome place fraught with much danger and yet at the same time, an enchanting spot whose beauties and mysteries we longed to experience. This wish of ours was fulfilled only early this month when we finally made it to Jailani on a hot Friday afternoon. Upon our arrival, we were provided accommodation in a meditation room by Mosque Manager, M.S.M. Rafiudeen. Jailani is situated about 25 km from Balangoda town in an archaeological reserve area known as Kuragala dating back to the second century B.C. The area with its numerous rock shelters seems to have served as a Buddhist monastic retreat in the olden days before it was abandoned and occupied by Muslim settlers at a later date. This is attested by the numerous drip-ledges and ancient Brahmi inscriptions found carved on a large boulder in the vicinity of the mosque which bears a striking resemblance to the Sigiriya of Pre-Kasyapan times. Kuragala seems to have served as an important transit point for Arab and Moor traders plying the ancient road from Galle to Ratnapura and Adam’s Peak. Numerous Arabic inscriptions and writings dating back to about the tenth century clearly show that the site had assumed its Islamic character more than a thousand years ago. Local Muslims believe that the site is sanctified by the visit of the famous Iraqi saint Qutub Mohiyadeen Abdul Qadir Jailani sometime during the early part of the twelfth century. 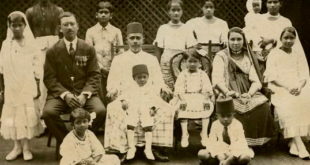 The site is said to have been rediscovered only in the latter part of the nineteenth century by the paternal grandfather of the present trustee of the mosque Nizam Cassim. Cassim related that his grandfather Cassim Lebbe Marikkar had once chanced to dream of a holy spot called Jailani towards the sunrise and set about to organise an expedition to locate its whereabouts. A few miles from Jailani the party was informed by some Sinhalese villagers that in the olden days itinerant Arab merchants used to take the route leading to the jungle, and taking this as a sign had proceeded to the spot with the help of a tracker. It was thus that Jailani was discovered. The idea that Saint Qutub Mohiyadeen had visited the site is said to been popularized by a holy man from India named Kapoor Masthan Bawa who is said to have seen the Iraqi saint in a dream. Besides Kapoor Bawa, other saints such as Ketal Bawa and Pakir Bawa are known to have lived and meditated in and around the environs of Jailani. The place at the time is said to have been covered in thick forest infested with elephants and bears among other wild beasts. It was only in the 1960s that the area surrounding the site was cleared, paving the way for paddy cultivation in the plains below. However, the area still abounds in snakes, monkeys and little yellow butterflies that find their way towards Samanola during the latter part of the year. The main landmark of Jailani is its rock cave mosque built by Cassim Lebbe Marikkar in 1922 beneath a huge rock known as Kai-adi-malai. The rock takes its name from the kai adi or hand prints of certain personages that adorn the face of the rock. Besides these hand prints, the rock surface is scribbled with numerous graffiti in both Arabic and Tamil. The Arabic graffiti which is usually of a reddish-brown hue seems to be quite old and may have been executed with red ochre or some other iron content pigment. Also carved on the rock face is an ancient Brahmi inscription of about the 3rd century B.C.-1st century A.D. Tradition associates this rock with a Muslim saint named Sheikh Madar Zindi. The story goes that the saint while brushing his teeth with a twig toothbrush known as a miswak while standing on the rock threw down the twig which landed in a place called Velipota in the Kaltota plains below. The twig is said to have grown into the famous Mal Madara tree, the only tree of its kind in Sri Lanka. The mosque itself is a fairly modest structure in green. Of particular interest is an ancient mihrab or niche facing Mecca carved on to the rock in the front portion of the mosque. A little to the left of the mosque is a C.16th century tombstone bearing the Arabic legend “Darwesh Mohiyadeen Darwesh, Hijri 883′ carved on it, probably the resting place of some holy man. Above the tombstone is a flight of steps leading to the Shillakambara or meditation room of Kapoor Masthan Bawa and the pious men who preceded him. This small edifice with white walls is situated underneath an overhanging boulder forming part of a huge rock known as Kappal malai.It is from here that the flag is taken during the annual flag-hoisting ceremony of the mosque that takes place in the first day of the Islamic month of Rabiul Akhir. This year’s ceremony held in June is said to have attracted as many as 8000 people from all parts of the country. The Soranga malai or Cave mountain, a huge towering rock facing the mosque is widely believed to have been an abode of the saints in the past. Holy men such as Qutub Mohiyadeen, Shawul Hameed and Madar Zindi are said to have spent several months here in deep meditation. Our Saturday morning’s visit to this wind-swept mountain with our able guide Amir Tuan, a native of Slave Island, proved a fruitful one. Here we beheld the Padam kalai or foot stone, an overturned rock containing an impression of a huge foot almost two feet long said to be that of Adam. Curiously enough, the impression when tapped with a stone object gives the sound of an empty copper utensil. Why this is so we were unable to ascertain. Tuan explained that the rock had been turned over by a jinn out of fear that it would be worshipped by humans. The jinn, who according to Islamic belief are beings created from smokeless fire, are said to have also inhabited the Jinn malai, a mountain not far from Soranga malai which also forms part of the Jailani complex.Tuan said that although the jinn are no longer found in the area they did exist here in the past. He related a particular incident that had taken place in the 1960s when a hunter by the name of Aziz Khan had been killed while hunting, supposedly by the jinn, the telltale sign being a bloodied handmark on the body. 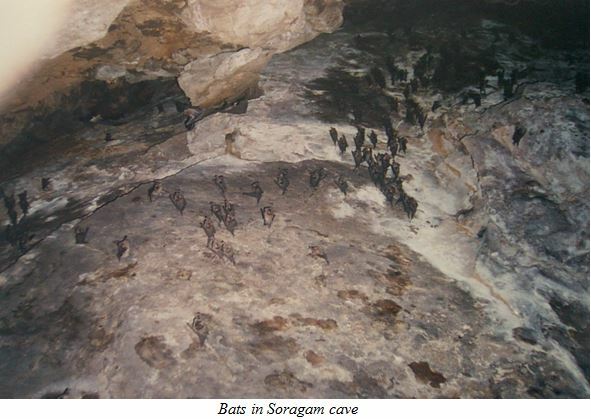 We next visited the Soragam cave said to have been the meditation place of Saint Mohiyadeen. 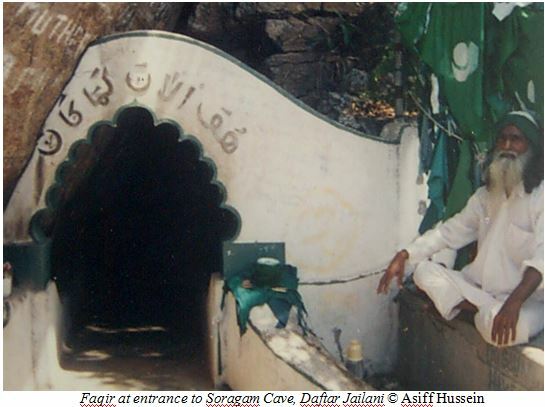 Here we met an elderly faqir named Abu Salihu Abdul Jabbar seated at the entrance to the cave. The faqir, a native of Nindavur, claimed to have lived in Jailani for nearly forty years. His duty was to pray on behalf of the visitors to the cave so that no danger would befall them. The cave it is believed is fraught with much danger. Towards its end, it is said, could be seen a mysterious white light originating from some supernatural source. Upon entering the cave we found that its roof was the abode of myriads of tiny bats silently suspended from the rock above. Proceeding further down we reached the spot where the mysterious light could be seen with the naked eye. The light it seemed to me was the result of sunlight falling through some deep precipice in the vicinity.The others in the party were also of a similar view. We therefore decided to visit the cave late in the night and see for ourselves whether this ‘mysterious light’ indeed had a supernatural origin. It was past 10.00 pm in the night when we reached the cave with a guide named Nahoor Hussain who had agreed to accompany us for a small fee. Upon entering the cave he began reciting a special prayer ‘Ya Seyyed Mohiyaddin Abdul Qadir Jailani’ invoking the saint for his protection. It was then that I realised that this was the special prayer for protection in Jailani about which we had heard so much in our young days. We however noticed no light and could rest assured that night that it certainly did not spring from some mystical underground source but from some beams of sunlight that somehow found their way through the bowels of the earth. Many folk here are however convinced that the cave does have some miraculous power or at least did in the past. Sithy Sajan, the proprietress of Hotel De Shamila in the vicinity of the mosque told us that over forty years ago when she was a child of about eight years of age, she had heard of a little girl who had fallen into a precipice in the cave. She was finally rescued after two days and the first words she is said to have uttered were ‘appa vanda pal tanda’(grandfather came and gave milk) after which she lost her voice for no apparent reason.She was later reported to have regained her voice after two years and was thereafter known as Sorangata biwi or ‘lady of the cave’. It was on a bright Sunday morning that we finally made it to the Uppumalai or Salt mountain through a long and winding path surrounded by rock and illuk grass. Suspended on the rocks above were a good many bambara hives of a bright golden hue, a truly beautiful sight. Climbing further up we reached the Uppukulam or Salt pond, a small, moss-covered grotto-like hollow in the mountain whose water is said to have miraculous healing powers. The crystal clear water from an underground spring tastes very much like mineral water and one fails to see why it is called a salt pond. Tuan related that about 15 years ago, a hermit named Rahim Bawa had lived in the vicinity of the pond. So engrossed was he in his two-year stint of meditation that his clothes gradually wasted away so that he looked very much like some naked faqir. There is also Kattu biwi ‘the lady of the forest’ who dwells in a cave in the environs of Vaidurya kanda less than a mile from Jailani mosque. This elderly, pleasant looking woman clad in red saree claims to have lived here for almost thirty years in spite of the fact that the surrounding jungle is infested with dangerous creatures such as snakes and at times even elephants. She is reputed to be in league with the jinn and is said to be able to dispatch them on various errands with a view to obtaining information about the world of men that we would otherwise have no means of knowing. We however hardly found her convincing as the replies she gave to our querries were rather vague and bordering on the philosophical. Perhaps she was not in a mood to reveal her secrets or that of the jinn. We had certainly experienced the beauties of Jailani, but not its mysteries. In fact our three-day stay here revealed nothing strange about the place. There are however those who claim that Jailani did once possess the qaramat or mystical power but that its sacrosanct character has since been undermined with the increase in vices in the area. Jailani has however certainly not lost its charm. Its sylvan surroundings, rocky outcrops and diversity of flora and fauna give it a character that is simply enchanting. Here indeed lies nature in all her beauty. Next Muslims will dominate, but will Islam prevail?